The writing just grated now and then. 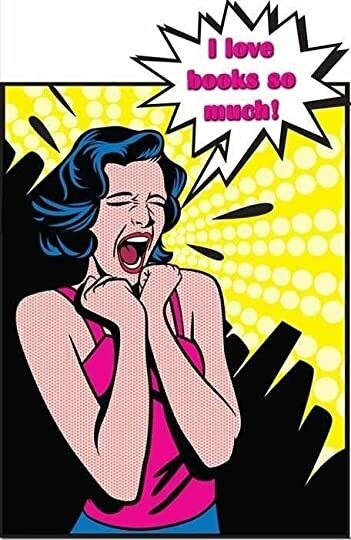 The ninth or tenth time the author resorted to Batman-style sound effects – all caps, exclamation points – and one character (included to be obnoxious) did something outrageously obnoxious (even for him), I closed the book and deleted it. I was at 87% – and a good part of what remained was recipes and an excerpt from the next book. A day or so later I went back to it; I hadn’t DNF’d a book yet this year, and I was close enough to finishing that I figured I might as well. But I didn’t enjoy it. I mean – who stops in the middle of a supposedly frantic moment to describe the scenery? A man falls off a roof; intrepid amateur detective races down the stairs to check it out; the narrative pauses in the middle of her sprint to dwell on the décor in the garden. Another cardinal sin of the cozy: Remarkably slipshod running of a small business. “’Who’s minding the store?’ Drayton asked. No, it’s not cool if you left the shop completely unattended. The characters are more caricatures than anything else. Two of them go from antipathy at first sight to practically weeping in each other’s arms, in the pace of a week. The young man is the very picture of a cliched young man. The gallery owner is the Platonic ideal of the gallery owner. The aforementioned obnoxious journalist fits the mold perfectly. There are few surprises. 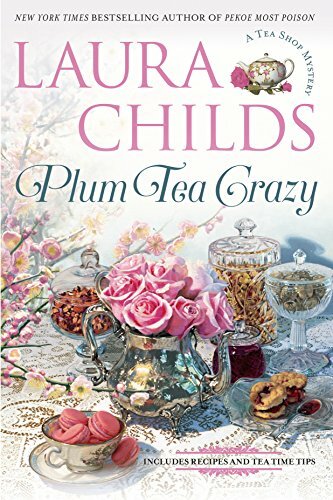 This entry was posted in books, mystery and tagged Cozy mystery, Laura Childs, NetGalley, Plum Tea Crazy. Bookmark the permalink.